Import growth declined to 5.8% during the first four months (July-October) of FY19 from 26.3% in the same period of last year, indicating an effect of recent tightening measures. 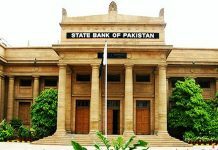 LAHORE: The State Bank of Pakistan on Saturday raised the key interest rate to 10% for the next two months, an increase of 150 basis points effective from December 3rd. This is the fifth rise in the key interest rate since the beginning of 2018 and shows an increase in inflationary pressure and current account deficit are impacting the country’s economy. In January, the central bank had raised the key interest rate by 25 basis points and was again increased by 50 basis points in May to 6.5%, followed by a 100 basis points rise in July to 7.5% and 100 basis points in September to 8.5%. A press release issued by the central bank said the economic data released since the last Monetary Policy Committee (MPC) meeting in September indicated that the positive impact of recent stabilization measures had started to bear fruit gradually. Especially, the current account is exhibiting early signs of improvement, said SBP. But it cautioned that near-term challenges to Pakistan’s economy continue to linger with increasing inflation, rising fiscal deficit and low foreign exchange reserves. The central bank stated taking recent large-scale manufacturing data into consideration, economic activity is expected to exhibit a noteworthy moderation during the current financial year 2018-19, indicating the short-term cost of achieving macroeconomic stability. Moreover, SBP said the impact of the cumulative increase of 275 basis points since January this year and other policy measures would likely rein in domestic demand in current financial year. “Initial estimates for major crops, except wheat, are expected to fall short of levels achieved in the last year. The slowdown in commodity producing sectors is expected to limit the expansion in the services sector as well. In this backdrop, SBP projects real GDP growth for FY19 at slightly above 4%,” said the central bank. Mentioning about the external front, the central bank shared import growth had declined to 5.8% during first four months (July-October) of FY19 from 26.3% in same period of last year, indicating an effect of recent tightening measures. It highlighted this current growth in imports was largely due to a rise in oil import bill due to higher global oil prices. As per SBP, non-oil imports fell by 4% during July-October FY19 and due to a continued rise in exports and workers’ remittances, narrowed the external current account deficit to $4.8 billion compared to $5.1 billion in SPLY, a net improvement of 4.6%. However, the central bank observed despite these developments, its net liquid foreign exchange reserves remain under stress falling to $8.1 billion as of 23rd November 2018 compared to $9.8 billion at end of FY18. Moving forth, the central bank there is an expectation of getting higher foreign inflows from official and private sources during the 2nd half of FY19 and the deferred oil payments facility would be available to the market beginning January 2019. 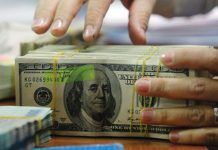 “The projected decrease in the current account deficit, that could be further supported by the recent decline in international oil prices will instil confidence in the foreign exchange market. These developments would help reduce pressures on its net liquid foreign exchange reserves, said SBP. The average headline CPI inflation during July-October FY19 has risen to 5.9% compared to 3.5% in same period of FY18, according to SBP. Furthermore, mentioning core inflation the central bank said this trend was even more pronounced which highlighted growing inflationary pressures in the economy and a disaggregated analysis discloses this is due to both, demand and supply-side factors. Explaining these developments, the central bank forecast average headline CPI inflation for FY19 between 6.5 to 7.5%, over the annual target of 6%. It observed the recent reduction in global oil prices could likely play a positive role in reining in the existing inflation trajectory and the risk presently remain tilted towards the downside. The central bank stated during first 4.5 months of FY19, statistics exhibit that almost all liquidity in the banking system is generated via a rise in Net Domestic Assets (NDA), as the Net Foreign Assets continued to fall. “Besides the increase in budgetary borrowings from SBP, relatively higher credit flows to the private sector have been the major contributors to an increase in NDA. 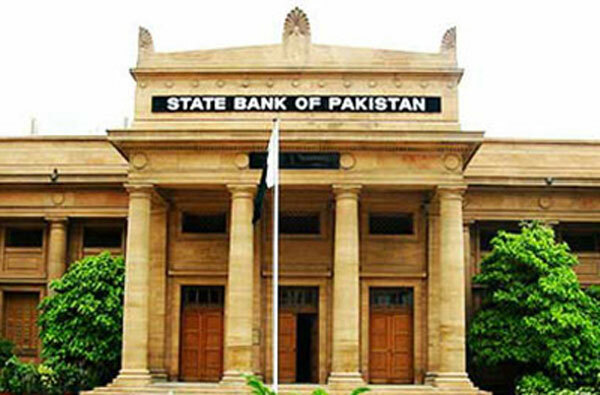 Despite contractionary monetary conditions, an increase in working capital needs due to capacity additions in the last three years and recent substantial increases in input prices, are the main reasons behind relatively higher credit flows to the private sector,” said SBP.